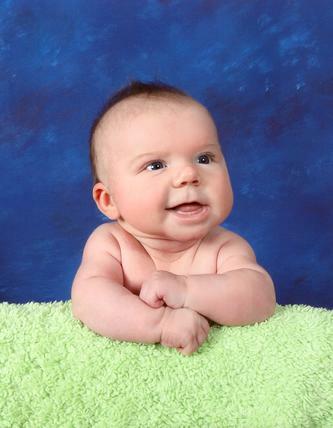 My beautiful nephew Kyle David Roy died tragically and unexpectedly from SIDS on February 11, 2011. Kyle was loved so very much by his parents Karla and Scott, big brother Derek, Mimi, Opa, Uncles, Aunts, cousins, and friends. His sudden death has left everyone who knew him with a broken heart. We are devastated by the loss of our precious little boy and so extremely saddened for his parents and brother who should never have had to experience the horror of losing their child and sibling. Karla and Scott are the most amazing and loving parents; they did not deserve this. Their pain and sorrow is unimaginable. It is our hope that through donations to SIDS Canada and research by dedicated scientists, that the cause of SIDS will be identified and the tragic and sudden loss of babies like Kyle will one day never occur. In his short time with us, Kyle touched our hearts and made us smile. He will be sorely missed by everyone who knew him. We will keep him in our hearts forever.